an unidentified electronic cabinet with covers removed to show components. 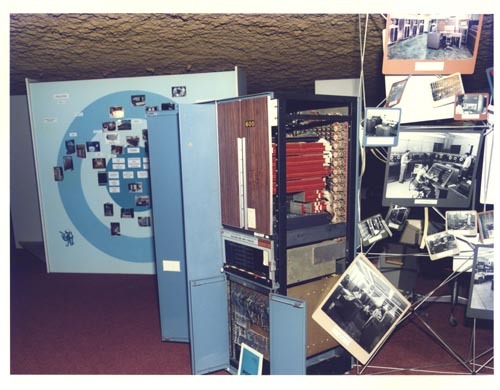 To the right is a display of pictrues of computing systems. In the background is a large display of Computation and Information Services.